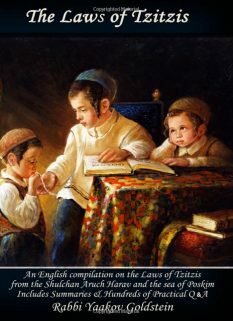 The following chapter will discuss the laws of bathing and showering on Shabbos. There is a difference between hot and cold water, as well as to the amount of one’s body that is being bathed. At times it is Rabbinically forbidden and at times it is completely permitted, as will be explained. Bathing: The Sages forbade bathing ones entire body or majority of it with hot water whether [the water] is within a vessel [or] whether it is in the ground, [and] even if it was heated form before Shabbos. The reason for this prohibition is: because [back then] the people in charge of the bathhouses would heat up [the water] on Shabbos and claim that they heated it before Shabbos. Now, although the Jewish people are not [to be] suspected to advertently desecrate Shabbos, nevertheless these [people in charge of the bathhouse] would place wood [in the fire that is] under the cold water before Shabbos, close to dark, and the woods would burn throughout the entire Shabbos thus heating up the water that is above it. 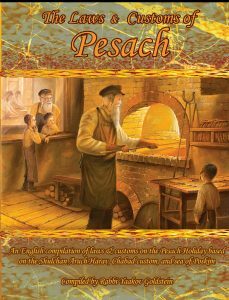 Now [placing the wood so close to Shabbos] is forbidden because of a decree that one may come to forget and stoke the coals after Shabbos has begun. Therefore [the Sages] forbade anyone from bathing in hot water even if it is not [being done] in a public bathhouse [which is run by caretakers]. Showering: [Furthermore] even to pour water on one’s body to rinse off [is forbidden] even though this is not the usual way of bathing in a bathhouse in which one enters his body and limbs into the water. Washing each limb individually: Even to bathe each limb individually and not majority of his body at once [is forbidden]. The reason for this is: because the Sages did not differentiate within their decree [regarding different forms of washing] since [all the forms] slightly resemble bathing in a bathhouse in which one bathes his entire body or majority of it. Bathing minority of one’s body: However it is permitted to bathe in hot water [that was permissibly heated from before Shabbos] ones face, hands and feet or other limbs so long as one does not [in total] wash majority of his body. Doing Hefsek Taharah on Shabbos: Therefore in a place where there is no [accepted] custom [otherwise], a woman is allowed to begin her seven clean days on Shabbos, being that [to do so] she only needs to wash her private part and between her thighs. However she must be careful not to wash with a cloth so she not come to squeeze it. Hot Springs: All the above is with regards to water heated through fire, however the hot water [from the] springs of Tiberius are permitted for one to even dip his entire body inside of. Cold Water: It thus goes without saying that [this allowance applies with] cold water. Hot water of Tiberius that is in a vessel: However it was only permitted [to bathe] in the hot waters of Tiberius when [the water] is in the ground, however when it is in a vessel then it has the same laws as water heated over fire being that all water that is in a vessel is not recognizable if it was [heated] from a fire or if it is from the hot springs of Tiberius, and there is thus [reason] to decree on these [hot waters of Tiberius] because of the hot waters [heated through fire]. First opinion: [However] there are opinions which say that [the Sages] only permitted [washing oneself in] the hot springs of Tiberius when the area is not roofed, however if the area is roofed then it is forbidden. Their reason is: because [a roofed spring] causes one to sweat and sweating is forbidden on Shabbos as will be explained. Second opinion: [However] there are opinions which say that it is permitted to sweat in the hot waters of Tiberius. Their reasoning is: because [the Sages] only forbade one from [actively causing himself to] sweat due to the decree made against bathing, as will be explained and thus since it is permitted to bathe in the hot springs of Tiberius then certainly it is permitted to sweat in them. The Final Ruling: Regarding the final ruling, in [a controversy over] a Rabbinical prohibition one may follow the lenient opinion. May one bathe in warm water? It is certainly permitted to bathe in warm water heated from before Shabbos as even the waters of a river in the summer are considered warm, or [waters] that are in a [heated] house in the winter [are considered warm, and nevertheless are permitted to bathe in on Shabbos]. To dip and leave: However this restriction only applies if one remains in the water [for some time], however if one does not remain in them [and rather dips and leaves] then it is permitted [even in the foul waters] being that it simply appears as if he is cooling himself off [in it]. A channel of water from the hot springs of Tiberius is forbidden to place through it, even from before Shabbos, a tube of cold water which its opening [of the tube] extends past the channel and its [cold] waters spill into a ditch in the ground. This is done in order in order so the [cold] water that is in the tube heat up upon going through the channel of hot water. The Reason: Doing the above is considered similar to insulating with material that increases heat being that these [cold] waters [that are in the tube] are being insulated within the channel of the Tiberius hot springs which are considered a material that increases heat, and it was already explained in chapter 257 [Halacha 1] that it is forbidden to insulate with material that increases heat even from before Shabbos. If one transgressed and placed the tube in the spring: [There too it was explained that] if one transgressed and insulated [in material that increases heat] it is forbidden [to benefit on Shabbos from that food]. Therefore if one transgressed and placed the tube of cold water through the channel of [hot water] then the waters which are spilling from it into the ditch are forbidden either to use for bathing or for drinking just as is the law regarding if it were heated on Shabbos in which case it is forbidden to wash in them even ones face, hands and feet, and even [to wash] only a single limb [is forbidden]. On Erev Yom Tov: If one placed this tube [in the channel] before Yom Tov then it has the same laws as water heated on Yom Tov of which it is forbidden to bathe with it ones entire body or majority of it, although it is permitted to drink it or to wash in it ones face, hands and feet as is written in Chapter 511 [Halacha 1]. However all the above [restrictions] is only with regards to when the actual tube is encompassed from all sides [by the hot water] and it opens to outside the channel however if one has the [cold] water poured into the channel then this is not considered insulation at all being that the cold water mixes into the hot water and is not insulated within it. Therefore it is permitted before Shabbos to have cold water flow into there and have the flow continue throughout the entire Shabbos. 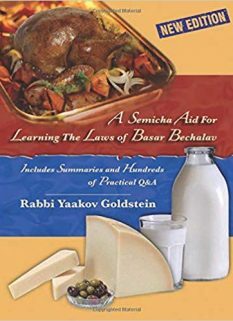 Doing so does not contain [a prohibition of] cooking because the action was begun from before Shabbos and finishes on its own on Shabbos as was explained in chapter 252 [Halacha 1]. Bathing in this channel: It is permitted to even bathe ones entire body simultaneously within this channel [that had cold water mixed into it] just like [is allowed] by other hot springs of Tiberius. Majority of one’s body: A person may not rinse his entire body in cold water and heat himself opposite a fire because by doing so he warms up the water that is on him and it is considered as if he has washed his entire body in hot water. However one is allowed to rinse himself off with cold water after having heated up [his body] near a fire because the [cold] water that [will be poured] on him will not get so hot [to be considered that he has bathed in hot water]. Warming up ones wet hands: [Furthermore] there are opinions which that even one who washes his hands needs to be careful not to heat it up opposite a fire even from an area where [the water on him will] not [reach] Yad Soledes, if one did not previously dry himself very well. Their reasoning is: because by doing so he warms up the water that is on [his hands] and it is thus like he has bathed in hot water that was heated on Shabbos and hot water which was heated on Shabbos even in a permitted way is forbidden to wash in even one limb and even if the [water] was only slightly heated that it is not Yad Soledes. The Final Ruling: One is to be strict like this latter opinion. A large amount of water: One who has a stomach pains is forbidden to place on his stomach a vessel that contains hot water because he may come to spill it on majority of his body and it will thus be considered as if he has washed majority of his body in hot water. A small amount: [Furthermore] even if there is only a small amount of hot water [in the vessel] which is not enough to wash majority of one’s body [if it were to spill], nevertheless if it were heated on Shabbos even a little, [even if this were] to the point that it is not [yet] Yad Soledes, it is forbidden [to place it in a vessel on one’s body for the reason] explained [in the previous Halacha, that one may not bathe even minority of one’s body in water heated on Shabbos]. On a weekday: [Furthermore] even on a weekday this is not allowed to be done because of the possible danger [that it involves] as at times the water is very hot [and may come to spill on one’s body and give him a serious burn]. Placing hot clothing on it: However it is permitted to heat up clothing and place them on ones stomach even on Shabbos. Must fully dry oneself upon leaving: One who bathes in a river [on Shabbos] needs to dry his body very well when he comes up from the river so that no water remain on him and have him carry it 4 cubits in a Karmalis as explained in chapter 301 [Halacha]. Not to swim and not to splash items away: As well one may not swim in the river and may not cause any item to swim [flow], such as twigs which are floating on the water it is forbidden for him to splash them away in order to clear up the water as will be explained in chapter 339. Not to squeeze ones hair: As well every bather needs to beware not to squeeze his hair. The Reason: Now, although there is the prohibition of squeezing is not applicable with hair, being that hair is hard and does not actually absorb water inside it [and rather the water is absorbed between each individual hair], nevertheless it is Rabbinically forbidden [to squeeze it]. The custom today: Due to that not everyone knows to beware in all the above therefore the custom spread in these provinces to not bathe at all on Shabbos, not even with cold water even though there is no prohibition involved from the letter of the law [in doing so]. A person is allowed to purify himself of his impurities by immersing in a Mikvah on Shabbos even if this immersing is Biblically required [to be done], such as a nidda and the like, being that doing so does not appear like one is rectifying [something on Shabbos which is forbidden] but rather like one who is going [in the water in order] to cool himself off. Dipping in reeky water, and dipping in the winter: [Furthermore] even to immerse in reeky water which is not commonly used to cool off in, and even [to immerse] in the winter when it is not at all common to [immerse in water to] cool oneself off, nevertheless [it is allowed as] at times when a person is dirty from mud and feces he washes himself even in the winter and even in reeky water in order to remove the mud and feces that are on him. The custom regarding a woman’s immersion: [However] in our provinces the custom is to forbid the immersing of a woman on Shabbos unless her husband is in the city as well as that it was not possible for her to immerse before Shabbos or [she was able to but] her husband was not in the city and only arrived on Erev Shabbos in which case she did no negligence in not having immersed prior to Shabbos. However in any case that her husband was in the city and she was able to immerse [before Shabbos and did not immerse then she may not immerse on Shabbos. The reason behind this custom: There are authorities which have given [the following] rational behind this custom [saying] that since the custom has spread to not bathe on Shabbos therefore when an impure person immerses to purify himself it appears as if he is rectifying [an item which is forbidden to do on Shabbos] and not like he is going in [the water] to cool off, being that it is not at all common to bath in order to cool off due to the reason explained [above in Halacha 6] even though that there is no prohibition in doing so. The custom regarding immersing for purification of nocturnal emission: Nevertheless a man is allowed to immerse [to purify himself] from a seminal discharge. The immersion of a penitent: (As well an apostate that repented is allowed to immerse on Shabbos because this immersion is not Biblically required as opposed to the immersion of a convert (as well as that there is not even a complete Rabbinical obligation [for the penitent to do so])). A woman who needs to re-immerse on Shabbos due to a stringency: As well any woman which needs to re-immerse due to a mere stringency is permitted to immerse on Shabbos as explained in Yorah Deah chapter 197 [Halacha 1 in Shach]. It is permitted to wash ones face, hands and feet with liquids that do not remove hair which are mixed with hair removal substances so long as the majority of the mixture is not made up of hair removal substance in a way that [washing with this mixture] will inevitably [remove hair]. It is permitted to wash ones hands with bran on Shabbos being that [although] doing so involves kneading [it is considered done] with an irregularity. The reason this is allowed: Now, although one is to be stringent not to knead on Shabbos [a thick mixture even] with an irregularity unless one placed the water in the mixture from before Shabbos as was explained in chapter 321 [Halacha 16], nevertheless here since he is not actually placing water into the bran and rather is merely taking the bran with wet hands it is permitted according to all [opinions]. It is forbidden to wash ones hands in salt and certainly with soap or other fats. The reason for this is: because [the material] dissolves in ones hand and is as if one has created a new substance on Shabbos which resembles a forbidden action as was explained in chapter 320 [Halacha 16] that it is forbidden to crush snow and hail for this reason. 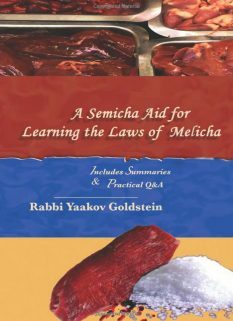 Other Opinions: [However] according to those which [held there] that the reason for the prohibition of crushing snow and hail is because of a decree made [to safeguard one from coming to] squeeze fruits which are designated for their juices as snow and hail are likewise designated for their liquids as was explained there [in Halacha 19], [then according to them] soap and other fat which are not designated as liquids are permitted to be [even] initially crushed [when washed in water]. The Final Ruling: One is to be stringent like the former opinion. A bathhouse which its fire is fueled from the outside, under [the bathhouse], if one closed before Shabbos those holes through which the [water in the] bathhouse heats up from then it is permitted to bathe in its water immediately after Shabbos being that [the water] had not been heated at all on Shabbos. 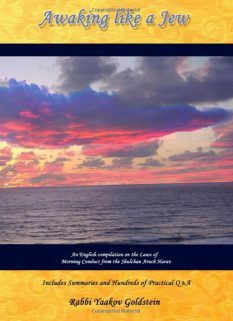 However if its holes had not been plugged from before Shabbos then even though it heated up on its own on Shabbos [through one having stoked the fire right before Shabbos] nevertheless in the evening one must wait the amount of time it takes to heat it being that it was heated in a prohibited way. As it is forbidden for its holes to be left open on Shabbos when there is fire under it due to a decree that one may come to stoke the coals on Shabbos. Entering a steam room: The Sages forbade one to enter a bathhouse in order to even merely perspire due to the transgressors who would bathe themselves in hot water and claim that they were just perspiring. To pass by a steam room: [Furthermore] there are opinions which say that even to walk past a bathhouse by an area where one is able to perspire is forbidden even though he has no intention to perspire. Majority gentile population: A city with a Jewish and gentile population which has a bathhouse that is bathed in on Shabbos, if [the city] has a majority gentile population it is permitted to bathe in the water immediately after Shabbos being that one can assume that it was heated on Shabbos on behalf of gentiles which are the majority of the population. Half-Half: Furthermore] even if the population is [exactly] half [Jewish] and half [gentile] one must wait the above amount of time because it can be assumed that it was heated on Shabbos for both [Jew and gentile]. After a married woman menstruates she must separate from her husband until she has counted seven clean days, meaning days that she has not seen any blood. To begin the count she must wash herself the afternoon prior to her wanting to begin the seven day count and then check herself to verify that the blood has stopped flowing. Thus this washing may be done on Shabbos in order to have the first of the seven days begin after Shabbos. Page 884 in the new Shulchan Aruch. 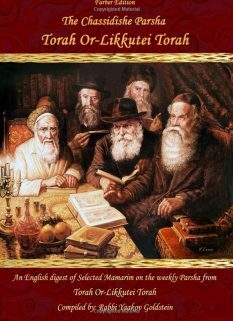 So rules also the Sefer Tehila Ledavid, and Minchas Shabbos, brought in Ketzos Hashulchan 133 footnote 1, and in SS”K chapter 14 footnote 3. Seemingly this is referring to a case that the water was not heated to its half way point from before Shabbos. However even then Tzaruch Iyun from chapter 254 Q&A there.